A VR experience introduced attendees to the new Airbus A350. It was a sendoff fit for the world’s greatest rock band. Four cities in four days. Vintage memorabilia. Weeping attendees at every stop. The rock star in question? Delta’s sole remaining Boeing 747, the aircraft that changed how the world travels. 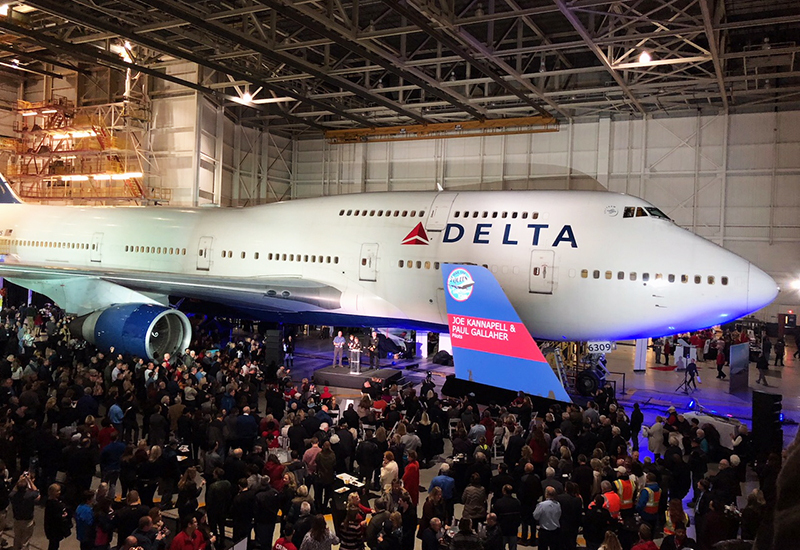 To celebrate the iconic jetliner before its retirement, Delta rolled out a four-day “All Hail the Queen” farewell tour from Dec. 17-20, activating hangar parties and in-flight experiences for employees and customers across Detroit, Seattle, Atlanta and Minneapolis. The plane’s final journey came shortly after United Airlines retired its last jumbo jet in November, making Air Force One the only operating Boeing 747 in the United States today. For many, the farewell tour signified the end of an era. Often referred to as the “queen of the skies,” the 747 was the first jumbo jet and remains the world’s most widely recognized aircraft. Appreciating the emotion associated with the plane’s retirement, Delta set out to deliver the farewell tour of a lifetime nearly a year before it was executed (BI Worldwide handled). Snagging a ticket to the tour events was no easy feat. Delta wanted to ensure that both employees and loyal customers had a chance to attend the experiences, meaning a competitive bidding process was the only way to secure a spot. While employees participated in an internal procedure, customers bid their Delta SkyMiles at an auction for a chance to say farewell to the aircraft—including one man who cashed in 950,000 SkyMiles to participate in the experience. 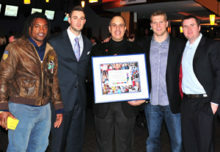 A handful of bloggers and members of the media were also invited to extend the reach of the program. 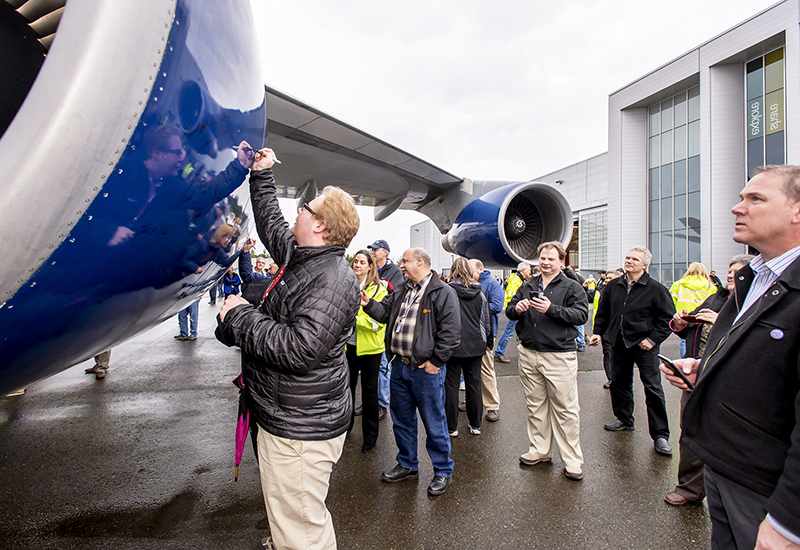 Hangar parties in Detroit, Seattle, Atlanta and Minneapolis let attendees get up-close-and-personal with the plane. 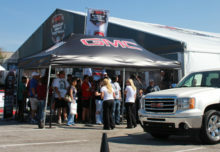 The tour launched in Detroit with the first hangar party of the campaign. Each hangar experience kicked off with a storytelling session featuring the station manager, along with a pilot, flight attendant and mechanic who had ample experience working on the plane. There were also employee presentations projection mapped onto a massive screen shaped like the tail of the aircraft. The screen was then used throughout the evening by an on-site vj who combined music, images of the plane and music videos in an immersive multimedia experience. Attendees also had plenty of time to interact directly with the 747. A self-guided audio tour offered an education on the mechanics and design of the plane, with two stops outside the aircraft to showcase its engines and eight stops inside that offered insights on the interior design of the plane. 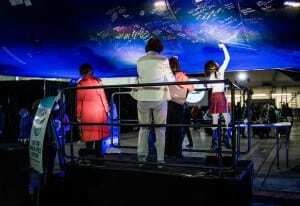 Guests could also physically sign the 747 thanks to raised platforms surrounding the aircraft—and sign it they did. From signing the engines and wing lifts to women applying a fresh coat of lipstick and planting a kiss on the overhead bins, attendees seized the opportunity to make their mark. There were, of course, plenty of photo moments to participate in, including 3D stanchions of the plane for attendees to pose with. They could also get a glimpse of the aircraft that would be taking the 747’s place, the more fuel efficient Airbus A350, through a virtual reality engagement. To top it all off, guests could visit an on-site pop-up shop featuring 747 swag, vintage travel bags and a series of tour stop posters created by artist Mark Herman. Platforms surrounding the 747 gave attendees a chance to sign the aircraft. 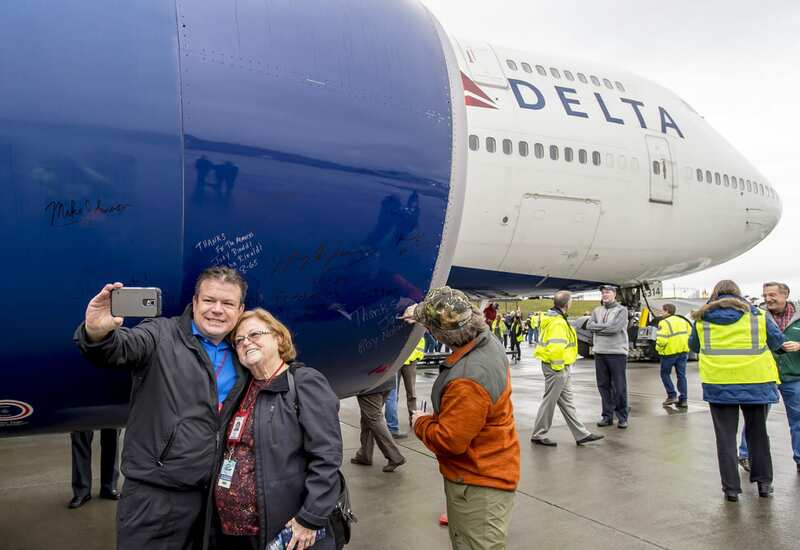 In addition to the four central tour destinations—Detroit, Seattle, Atlanta and Minneapolis—Delta also made a quick stop at the Boeing factory in Washington state, where the 747 was built to give factory employees a chance to bid farewell to the aircraft. A small program for Boeing executives was also executed at the facility. The in-flight events between each hangar party were just as engaging as their counterparts on the ground. The planes, which typically seat about 400 people, carried just 220 passengers on each flight to make the journey more comfortable, and to enable attendees to move freely around the aircraft. The experiences also delved into Delta’s Airloom Project, an employee grassroots effort to “keep the history of the 747 alive and well” by building a permanent exhibit for the Boeing 747 at the Delta Flight Museum in Atlanta. The Airloom team shared stories on board (ticket proceeds from the entire farewell tour were also donated to the project), as did each pilot, who often leveraged the plane’s PA system to talk about his or her time aboard the queen of the skies. Attendees were also treated to Delta One, the brand’s first class meal service, throughout the flight. While the farewell tour was generally a smooth ride, there was occasional turbulence along the way. Like delays due to weather and mechanical issues, and the blackout at the Hartsfield–Jackson Atlanta International Airport, which caused some customers to miss the farewell tour experience altogether. But all in all, says Levo, the impact of the tour on both employees and customers has been powerful. From signing engines and wing lifts to kissing the overhead bins, attendees seized the opportunity to make their mark.